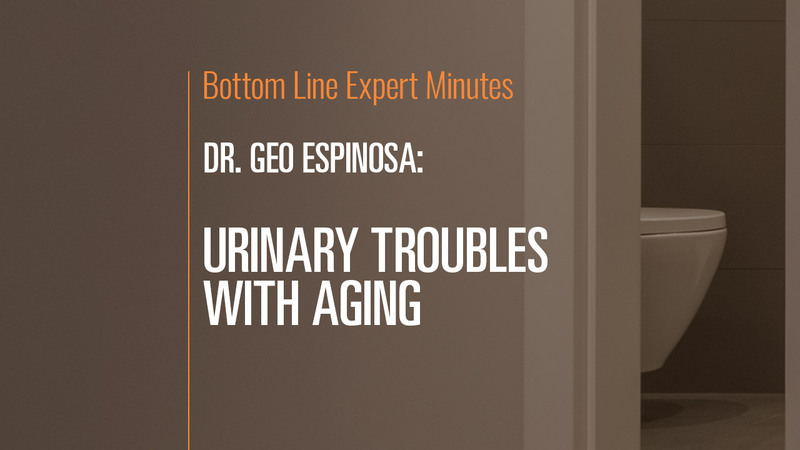 Many men experience urinary difficulties as they age—increased urgency, frequency and the need to urinate at night . In this video, Dr. Geo Espinosa, ND, LAc, IFMCP, CNS, clinical assistant professor of integrative and functional urology at New York University and author of Thrive—Don’t Survive: Dr. Geo’s Guide to Living Your Best Life Before & After Prostate Cancer, discusses what men can do to overcome these issues. Urinary troubles can be caused by the bladder, the prostate,or both, and they tend to worsen with age. Chronic stress and inflammation also contribute to these problems, as can nutritional deficiencies. When it comes to treating these concerns, the goals are to relax the system and reduce inflammation. Magnesium supplements and vitamin D also can help treat urinary symptoms.